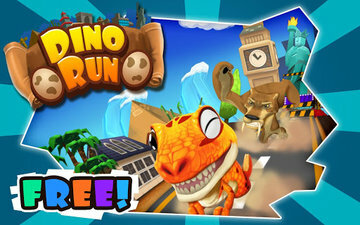 Assist a little Jurassic dinosaur as he runs for safety, scampering through parks and leaping over pitfalls in Dino Run! 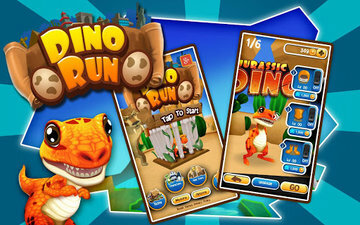 Guide our cute prehistoric lizard as he tries to escape the sharp claws and teeth of the Saber-toothed Cat. 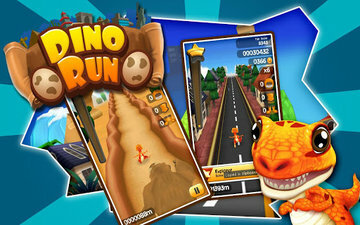 Run across barren deserts, frozen ice age wastelands and other locales around the globe in this running adventure! Run, dash, and put your fast reflexes, lightning strategy and quick response time to the test in an intense and FREE running game! 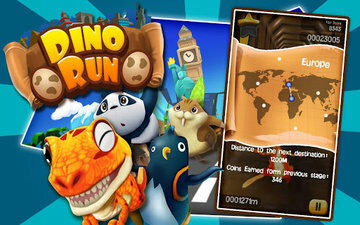 As you guide Dino on his adventure, you'll come across precious coins that you can spend to acquire powerful equipment and unique boosts that will give our dinosaur the edge he needs to escape extinction. - Acquire coins to unlock valuable gear to help you survive longer!